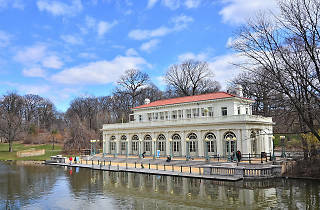 While you’re out exploring the things you must do in Prospect Park with your pals, why not wow them with some trivia? In the park’s 150-year history, there’s been plenty of changes made to Brooklyn’s biggest park. 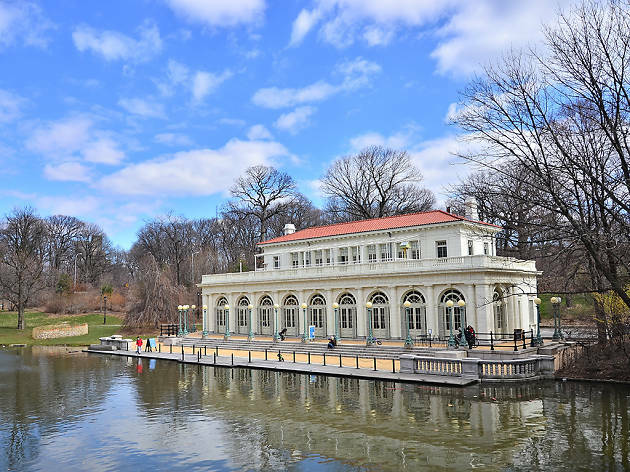 So, on your way to that perfect picnic spot or before dinner at restaurants near Prospect Park, be on the lookout for the historical details that you just might have forgotten. If you left your car near Prospect Park overnight today, you’d be afraid your vehicle would get impounded—but in the 19th century, you had to worry more about your barn animals getting impounded. After Prospect Park first opened in 1867, local livestock could be found roaming the 585 acres of public land, even though they were supposed to be kept at home. In 1872 alone, 44 pigs, 35 goats, 18 cows and 23 horses were caught. Decades before park designers Vaux and Olmstead were even born, the park’s hills saw a bloody battle. During the American Revolution, the park was the site of the Battle of Long Island (also known as the Battle of Brooklyn). Though the British won that battle, the brave soldiers of the 1st Maryland Regiment continued to attack the much bigger army while George Washington and other American forces retreated to Manhattan. To mark the 200th anniversary of George Washington’s birth, New York City park commissioner Robert Moses erected a full replica of the first president’s home in Prospect Park in 1932. Unfortunately, unlike the original Virginia plantation that’s still standing, the replica was torn down just two years later. Before Kings County was completely colonized, many Native Americans called the borough their home. A well-worn trail used by the tribes in the area would later become the best route to travel between the early towns of Flatbush and Brooklyn, and it even played a part in the Battle of Brooklyn. When the park was established, that road became East Drive, a main thoroughfare of the park. Since the 1840s (and possibly before) Quakers have been burying their dead in an NYC cemetery owned and maintained by the Religious Society of Friends. Since many Quakers formerly believed that headstones were a form of vanity, many of the graves are unmarked. Among the buried is Hollywood actor Montgomery Clift. While it’s hard to adjust for the rate of inflation—the US Inflation Calculator only goes back to 1913—the construction workers who helped create the park were paid just $1.70 per day. The laborers of both Central Park and Prospect Park were mainly poor Irish immigrants who did intensive physical work for little pay (even by those days’ standards). In the 19th century, when athletes weren’t using Prospect Park’s frozen lake for ice-skating and other winter sports, teams organized games of ice baseball. The game had mostly the same rules as regular baseball, but it was done on ice skates with a bright red, slightly softer ball for hitting, and the bases were carved into the ice. Games could attract thousands of spectators, and teams from as far away as Baltimore would come up to play. After President Lincoln was assassinated in 1865, he was memorialized in large bronze statues created by Henry Kirke Brown. Though the sculptor completed a similar statute of Honest Abe in Union Square before he finished the Prospect Park statue that overlooks Concert Grove, this one was dedicated first, so it officially holds the title of the first Abraham Lincoln statue in the Union.